Ashlee is a grade 12 student who has been involved with RND art since grade 11 when she joined this school after moving to Kingston. Since joining, Ashlee has developed her skills as a media and digital artist, videographer, photographer and an extraordinary traditional artist. Ashlee likes to experiment with a lot of themes such as surrealism, romanticism, macabre, cartoons, and anime because she would get easily bored if she only stuck to just one thing. When creating a piece, Ashlee tries to evoke some sort of emotion in her pieces. Though having her own interpretation of what she was trying to convey in her work, she says, “it’s cool to see what other people think of it or what it means”. As one out of the two recipients of this year’s Major CAPPA award for Visual Arts for Grade 12, Ashlee describes art as one of the most meaningful and important things in her life. “It gives me reason to not only find passion in it, but to understand and discover other passions. It helps me though the harder times and helps me to further enjoy the better times. It’s very much a way to express myself. I like art because it isn’t only a hobby for me; it’s way more than that because I know it’s something I want to continue on with as a career too”. Next year, Ashlee is returning to RND to take a few extra courses, including a duel-credit with St. Lawrence in Film studies, and extracurricular activities, such as painting the play sets/scenes and costume design. 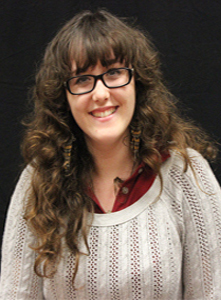 Ashlee hopes to attend Algonquin College for the animation program after next year. -Various winnings varying from honorable mention, to 2 place in Ontario for entering in The Royal Canadian Legion Remembrance Day Poster Contest, from participating every year since grade 6. First in Kingston in both 2013 and 2014 contests. To view more of Ashlee’s work, click on the links below. Click on a thumbnail image below to view the gallery of Ashlee’s work. Holly is a media arts based artist, familiar with digital mediums such as photography, HTML, and Adobe programs. 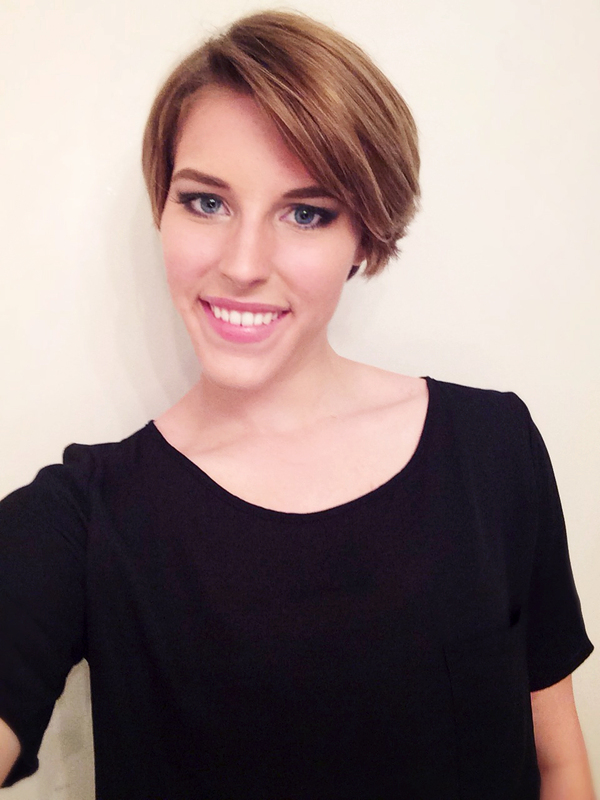 Holly has been able to expand her range of skills in the past year to include videography, animation, and visual art. This year, Holly was the recipient of the Major CAPPA Award in Media Arts, as well as the Ed Zurichny award on behalf of student’s council for her contributions to the school. Holly’s art follows a modern style and is usually based on current design trends. Often her work is based on colour psychology, using different hues to evoke emotion from her art’s viewer. For this reason, she uses vibrant and exciting colours. Holly creates logos, posters, and other corporate identity products for local businesses, and draws on her own time. Holly’s personal works aim to be creatively interesting and technically correct. When creating a piece for commercial purposes, Holly’s goal is to carry across her client’s message in a clear and visually appealing way. Holly was a science student throughout high school and never considered herself artistic until she took Media Arts in grade 11. “The digital component of the program made creating art interesting for me and I started to develop artistic skills alongside computer skills. At the end of my grade 12 year I decided that I loved art so much, I wanted to pursue a career in it”. In her grade 11-13 years, Holly has taken grade 11-13 Media Art, Communications Technology, and Yearbook committee, as well as being the editor of the official RND Artists blog. Though her involvement with the RND art community didn’t start until the end of her grade 12 year, Holly has been actively involved ever since. Next year, Holly will be taking the Graphic Design course at St Lawrence College. She plans to get her Masters in Design and work in a design related business. “One day I would love to teach art & design at the College or High School level”. To view more of Holly’s work, click on the link below. Click on a thumbnail image below to view the gallery of Holly’s work. Molly is a grade 12 student who “probably popped out of the womb with a paintbrush in hand if that tells you anything”. Molly has been involved with art her whole high school career, starting with Visual Art in grade 9, and taking all of the art courses she could since. Molly is most familiar with visual arts, and through RND, has also had the opportunity to take Media Arts and have some experience with Photography. Molly’s involvement with art doesn’t end with RND, for the past two summers she has organized a children’s summer art camp. This has helped bring creative and imaginative experiences to some kids in the small community of Wolfe Island. Molly’s style is an eclectic mix of the natural world, mystery, art noveau, passion, whimsy and watercolours. Molly believes that art is all about expression. “I wish to express myself in the best way I know how. Art conveys emotion; I try to show an emotion in its purest form. Foremost, art tells a story, so I try to tell a good one that keeps the viewers thinking and guessing”. Next year Molly will attend Emily Carr University of Art and Design (first year Foundation) and hopefully one day get a degree in Illustration. “I’m super pumped to get fully immersed in the art world and to be in beautiful British Colombia”. To view more of Molly’s work, click on the link below. Click on a thumbnail image below to view the gallery of Molly’s work.